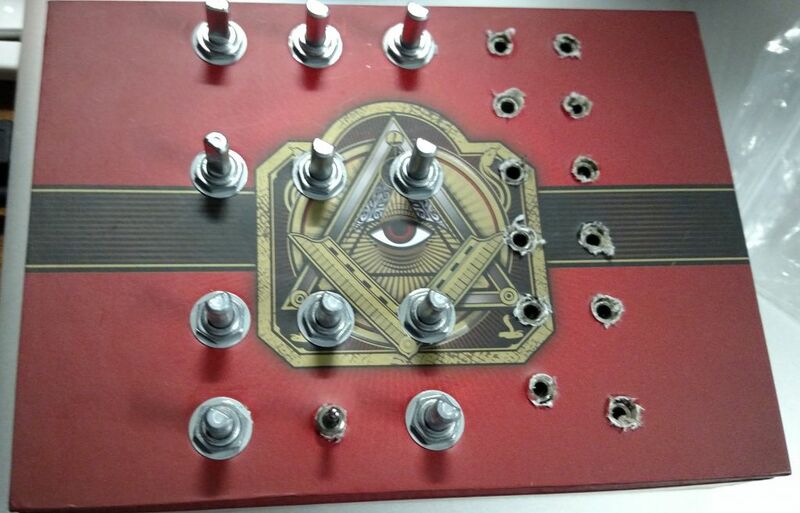 I have added the EPS file for the Knobcon Workshop case (Many thanks to Altitude909 for the box design!). This can be sent to Ponoko for fabrication, the EPS file is ready to rock. An image of this case has been added to this top post as well. Note that the BOM has been updated to use a SUB-mini switch, not just a miniature switch. 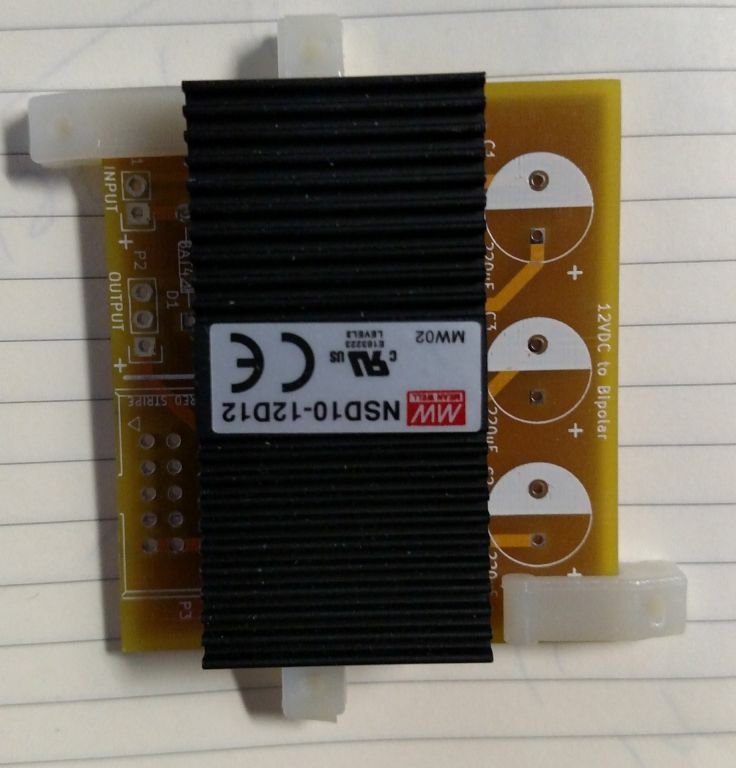 IF you have the original PCBs from the group buy last November, this will take some adjustment to make it work well. The original switch is probably a shade too tall to work well. Raph's case design assumes round nuts on the jacks rather than the hex nuts I prefer and normally use, as far as I can tell it doesn't make a lot of difference, and since the top is held on with standoffs, you can omit the nuts entirely without any real ill effect. The last page has notes about how to assemble the case. This is the build thread for my PCB layout of the Benjolin, I've called it the "MW Benjolin" for MuffWiggler, though obviously it's not the only one around. NOTE: the NSD10-12D12 needs to have all those numbers/letters to get the right part. Meanwell makes other things like NSD10-12S12 which is not the same thing and won't work. Mouser BOM is in the build notes. Quick note: in my previous discussion on the general Benjolin PCB thread, I had not mentioned setting up the CV ins for the two oscillators so that they can cross modulate by default. I had missed that point in several of the popular available versions. I have added it "at the last minute" as it were and it will be part of this set. Yes, you can power two Benjolins with a single power board if you are building a dual unit. I built one of these for testing and I can say that no-one should have any major problems putting this together. Unless you're a dummy like me and forget to install the transistor before testing - it'll still work, sort of, just no rungling. Thanks a lot for doing this! It looks like a nice build, I'm looking forward to it. I think I remember it being brought up in the original thread, but would the power be enough to run a dual benjolin off one psu? The short answer is yes; I used one of my older supplies, so I jumpered the 10R resistor (shorting it out), because I've found that higher current draws will destabilize the DC-DC even with a 10R limiting resistor. The version of the power PCB that will ship with everyone's order will simply omit the resistor. The supply got warm, but not so hot I couldn't touch it. Got some entertaining sounds out of it as well, but unfortunately I was only recording my interface in mono, so I think it loses some of the effect. 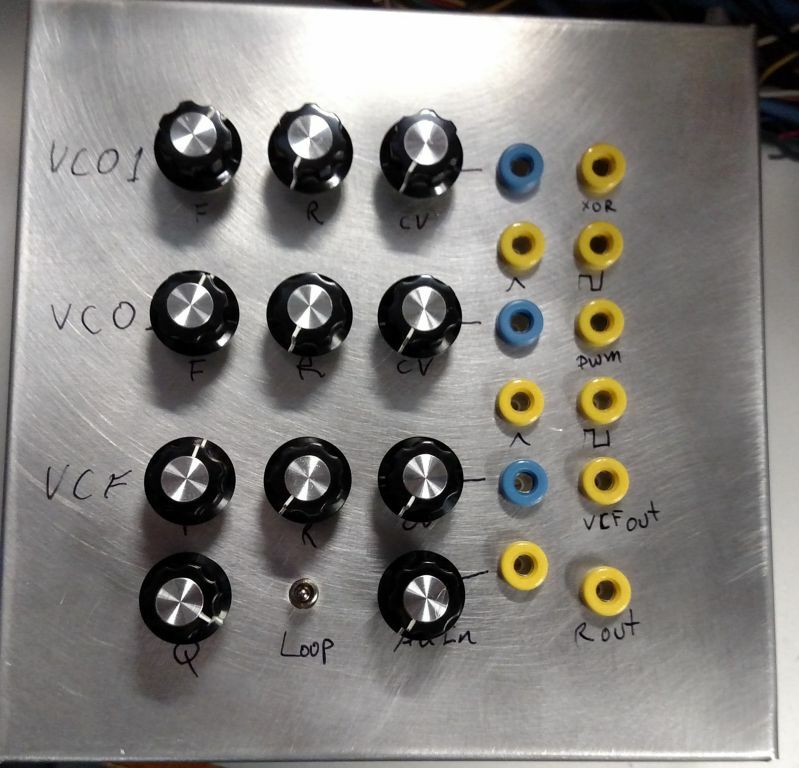 Does anyone have any examples of this being built into a 5U MOTM or MU panel? How wide does it end up being? Dave Brown built one of my prototypes behind a 2U MOTM panel. Using MU I'd expect to need 2MU as well. Thank you for the link! I will go to the order thread and put my order in, then figure out if I can build it myself, or get an expert to build it for me. BTW I should note that with Dave's feedback the latest version of the PCB has separate headers for all the signals necessary to wire to off-PCB components, so there's no need to spread headers all over the board the way he did. 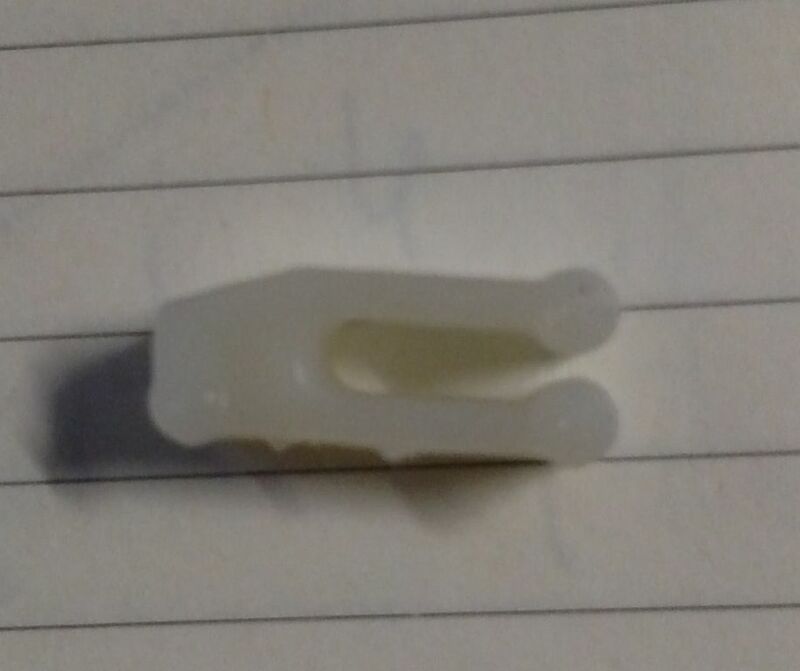 For people building these with banana jacks, how do you deal with the lack of normals? Do you figure you need to patch or do you add switches to normal the CV INS? I'm thinking of building it as a stand-alone instrument with a CGS Reverb built in. Does it make sense to build in a mixer to feed the verb? All the outs (8) into a mono mix? I built mine with bananas and have no regrets. FYI: The filter output is line level, whereas the other outputs are around +/-5V. A built in mixer may be useful, but having the individual outputs available at jacks is also important for disrupting the stock Benjolin behavior (once you get sick of that) and finding all the wild stuff it can do with extra feedback paths. If I were to redo my panel I'd add a 3-to-1 mixer for each Benjolin, but I've never felt the need to use all 8 outputs at any one time. You would just have to patch them in. I guess if you had a slightly wider panel/box, you could put a switch off to the side, or for example if I was doing it as a 4U panel and wanted that I'd probably just not mount the PCB to the panel and use the headers. Yes I think so. Note that if you're feeding other audio circuits, you may want to implement the normalization mods that Dave Brown mentions on his page. Otherwise, squares (pulse, pwm, xor to a lesser extent) are rail to rail (17Vpp), and triangles are closer to 8Vpp than 10Vpp. Also the VCF out is at line level, that will likely need to be boosted up to be comparable when mixing with the others, that's not something Dave changed. 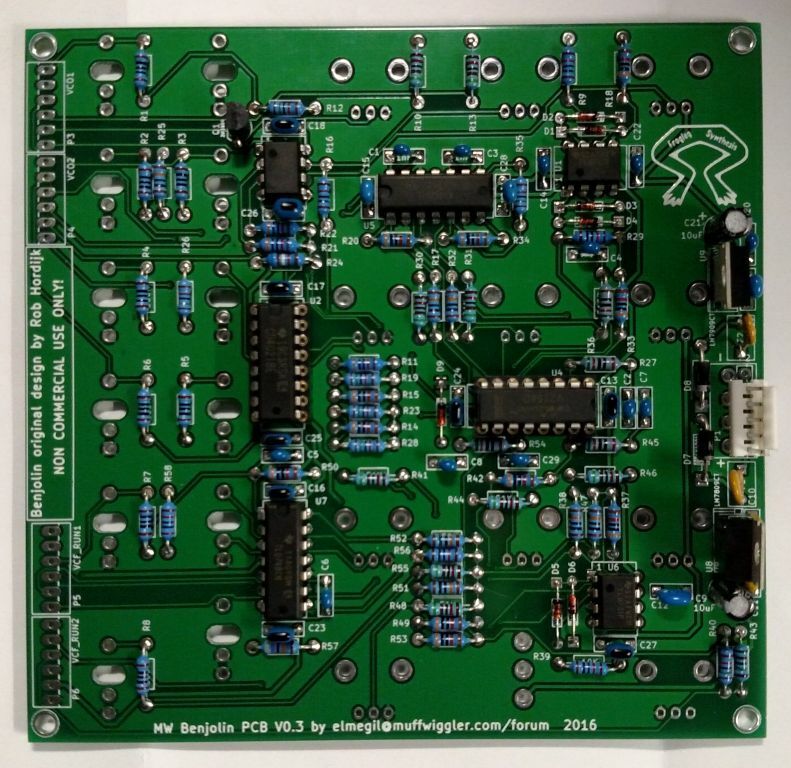 You could also make it so the mixer feeds the VCF instead of the usual always PWM + Rungler into it. On the final version I've moved a couple resistors around to make it easy to cut the inputs from the actual input resistors (R51 & R47 for the filter and resonance respectively) to facilitate this--cut the trace between R51 & R48, that's where the inputs go to the respective sections, and then feed R48 from the mixer instead of from the external audio input. Really at that point you're best off not using my PCB controls and using the headers instead. @Repeater: I assume that's a dual? BTW CLee, have you heard of the Zeitgeist? It's a PT2399 based delay also designed by Rob Hordijk, I have some notes about making a stripboard version to go with my Benjolin, we'll see how it goes. Info about the Zeitgeist is at electro-music.com along with the the original press-n-peel of the Benjolin. elmegil - Yep, mine's a double. 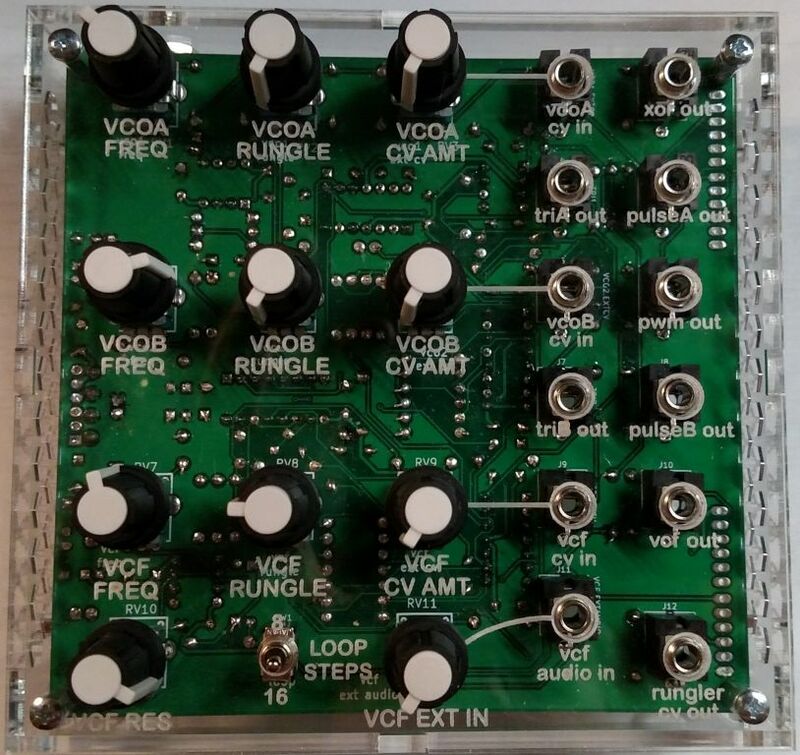 I just double checked the voltages on mine (built with the original PCB layout) and the VCO Pulse outputs are as close to rail-to-rail as my TL074s allow, slightly above +/-8V. Apologies for the confusion. Thanks, I'll check out the Zeitgeist. I'll be building from the headers probably. 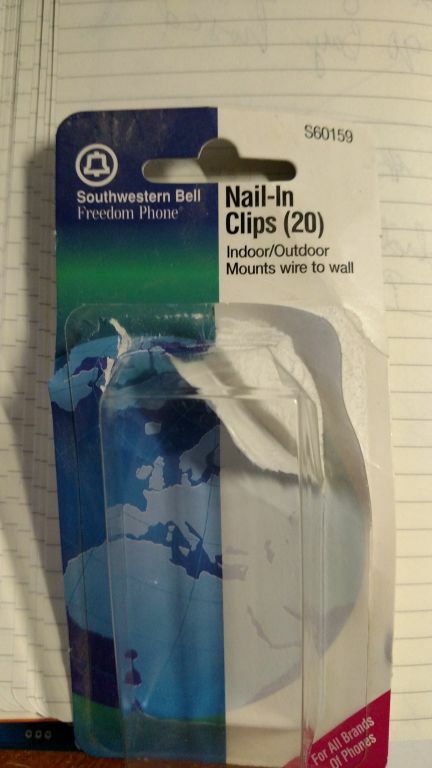 Maybe I'll add switches to normal the CVs. I'd like to have it at least functional without patch cords. Good news: PCBs have arrived! Bad news: Power PCBs do not have mounting holes :( This is my mistake, somehow they're not on the PCB layout any longer either. 1) drill holes yourself, there is clearance, and for someone with a drill press or steady hands, it shouldn't be difficult (and I will provide extras as needed if you have a problem with this approach). 3) If you are really loosey goosey you could hot glue it, but you'd want to be sure not to short anything if you're gluing to a metal surface (e.g. the cheap hammond box in the BOM). 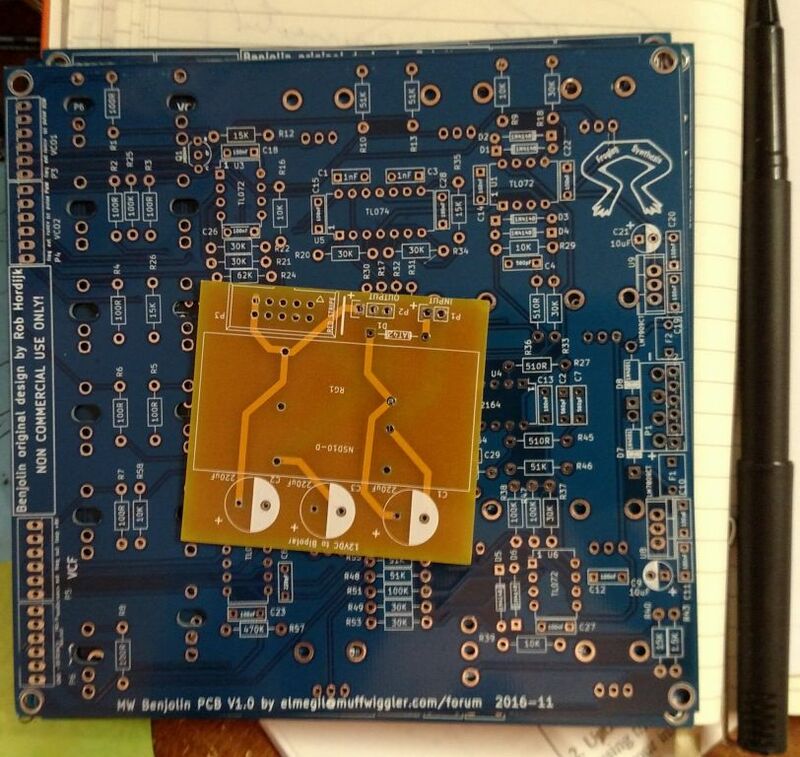 Ok, build doc is updated with the correct scans and images of the actual PCBs that will ship to people, as well as the notes about the power PCB's lack of holes. edit: also, mouser part# 512-1N4001 appears to no longer be available, and they suggest as a similar product 863-1N4001RLG... would this be ok to use in its place? It should be right on any print device capable of reproducing 300 dots per inch. ? Note that I created the template before shrinking the PCB a tiny bit in the vertical dimension; I didn't change the controls layout so I didn't change the template to reflect that. Spacing between pots should be 1" horizontally, and 1.5" vertically between the first three rows, and 1" vertically between the last two rows. Spacing between the jacks should be 3/4" in both dimensions except for the rungler out jack which is 1" down from the jack above it. I hate parts obsolescence. Yeah, any 1N4001 should be just fine. I'll go fix the BOM/mouser part list later today. I'm sure it's my ignorance and not anything wrong with the template, I'll mess a little more with my printer settings. Since I just bought 2 of the PCB's I now have to figure out what format they are going to take. I know a bunch of folks are doing Non-Eurorack versions. And I think I have seen a couple of standalone versions. What else are people thinking about doing? 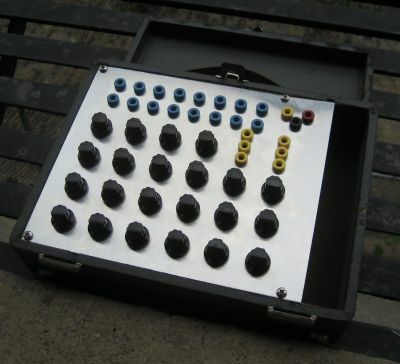 Part of me wants to do a Euro like stand alone skiff with a matrix mixer (The NLC stuff seems well suited in a Benjolin world) and then some sort of reverb/delay.